Apple has announced it stops selling products online in Russia because the ruble’s value is too volatile for it to set prices. The technology giant stopped sales of its iPhones, iPads and other products in Russia after a day in which the currency went into free-fall. The ruble has lost more than 20% this week, despite a dramatic decision to raise interest rates from 10.5% to 17%. Early on Wednesday, the ruble was down 5% with one dollar buying 71 rubles. The currency all time low, set on December 17, saw one dollar buying as many as 79 rubles. 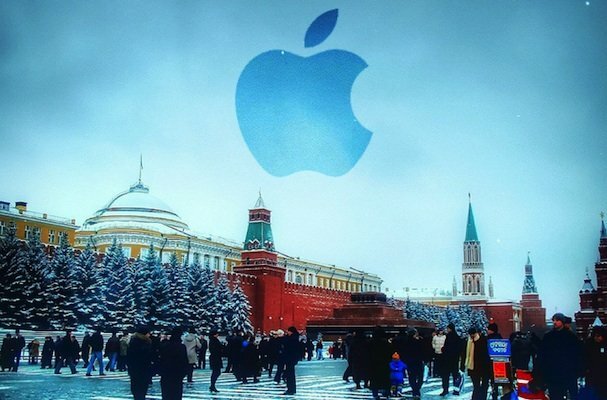 Apple last month increased its prices in Russia by 20% after the weakening ruble left products in Russia cheaper than in the rest of Europe. Russia’s central bank said on December 17 it had spent almost $2 billion intervening in the currency market on December 15. It has spent around $80 billion trying to prop up its ruble this year, but despite that, the currency has lost more than half its value against the dollar since January, with cheaper oil and Western sanctions over its stance over Ukraine the chief factors. Russia’s central bank has pledged fresh further measures to try to stabilize its currency, with First Deputy Governor Sergei Shvetsov describing the situation as “critical”. The ruble’s slide this week was prompted by fears that the US was considering a fresh set of sanctions against the country for its support for separatists in Ukraine.